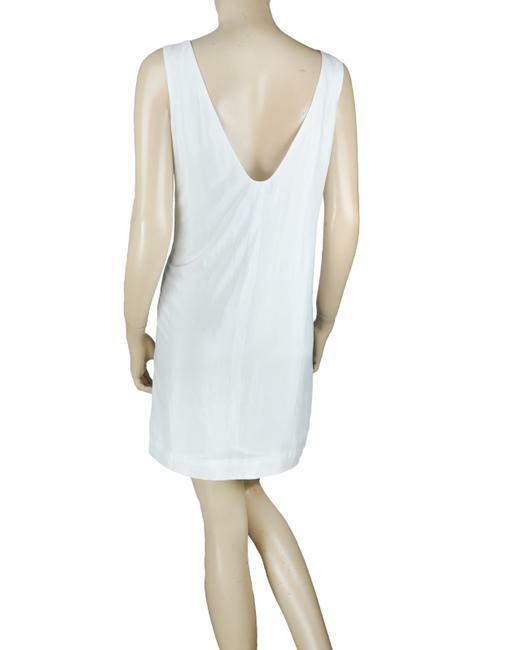 For your consideration is this beautiful white pleated dress. Imagine adding this classic chic look to your personal wardrobe. 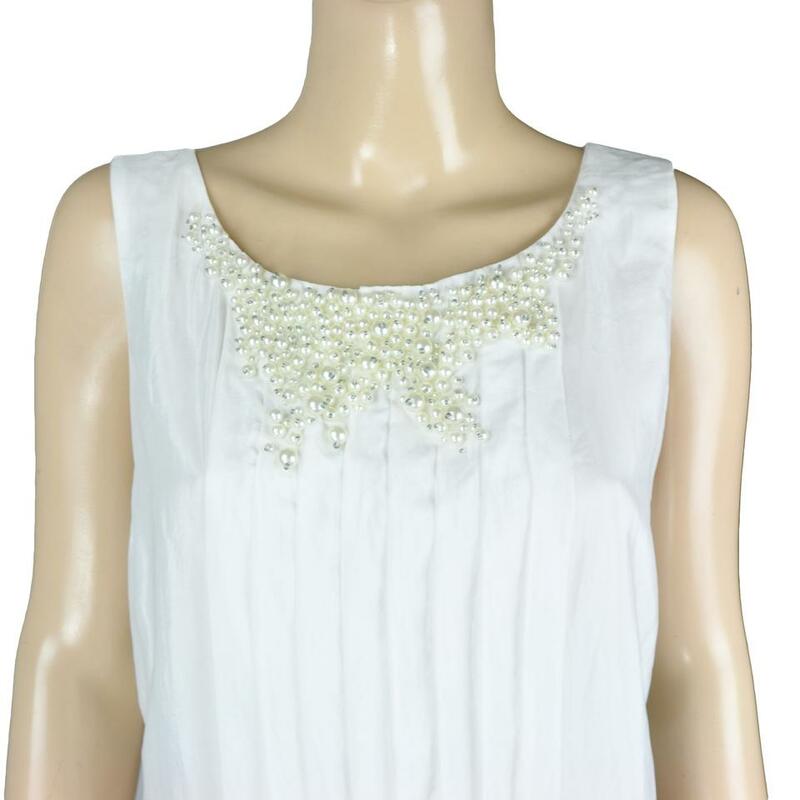 This item features faux pearls near the bust and a pleated vertical detail down the front. Condition note: Never been worn but the brand label tag has a cut in it to prevent store returns.